The Eastern Mediterranean holds a lot of fascination for the oil and gas industry - after the shock of the discovery of the Zohr oilfield offshore Egypt. There is plenty of interest in Egypt with oilfield sales going on. And could there be oilfields around Cyprus, offshore Lebanon, perhaps Israel? What are the prospects for Libya? Is it time for a renewal of interest in Greek and Egypt? Outside of the well-established play fairways of the Nile Delta, the offshore Eastern Mediterranean is without question a high-profile emerging frontier for exploration. Two significant plays in this frontier are now documented with the challenge being to map likely play extent. These plays comprise the predominantly Early Miocene turbidites of the Tamar sandstones of the Levant Basin and, more recently, Cretaceous to Miocene carbonate buildups typified by the Zohr discovery. In both cases, the dominant phase of hydrocarbon appears to be dry biogenic gas. This presentation introduces the necessary elements to evaluate these incipient fairways and develop new play concepts, particularly in underexplored areas. Five primary geological research themes are relevant for reducing exploration risks in this region. They are evaluated using regional geological concepts to aid the delivery of models for exploration success. Each of them is discussed and a framework for their evaluation is provided. The first theme investigates the provenance of the quartz-prone reservoirs in Early Miocene turbidites of the Levant Basin. These sandstones are extensive, amalgamated into sheet-like bodies, deposited during multiple sequences of sea level fall and, with the exception of the Nile Delta, are flanked to the east by slopes that are essentially out-of-grade. A Paleo-Nile provenance is likely, with regional tectonic episodes on this delta limiting the delivery of sands to the Levant Basin to the Early Miocene. In the Middle Miocene, these clastics could have been diverted into the underexplored Herodotus Basin. The second theme shows the scale and extent of offshore carbonate play fairways and the ability to predict or identify the occurrence of such carbonate buildups that are comparable with Zohr. Their growth is enhanced where clastic poisoning is limited; in the Miocene (at least), this can be modeled by mapping the basinward diminution of clastics around paleo-highs from seismic sections. Platform carbonates probably developed along the Cretaceous passive margin onto outboard highs that formed during Triassic and Jurassic rifting, so prospective targets are expected to be located along these early Mesozoic structural trends. At Zohr, reservoir quality could have been enhanced by periods of subaerial exposure and subsequent karstification, so larger scale buildups situated on the longest-lived structures that remained elevated near sea level could have better reservoir potential. The third theme shows the nature and timing of charge, its relationship to trap formation, and the potential for non-dry gas and liquid phases in the resource portfolio. Regional variations in heat flow are poorly identified and are also likely to be influenced by the occurrence of thick Messinian salts. Therefore, the creation of reasoned, regional conditions and multi-scenario burial models is the only way to best evaluate the range of opportunity in these domains. The fourth and fifth themes are similar and reflect stratigraphic uncertainty around the stratigraphic composition of sub-Miocene plays in the Levant Basin and the stratigraphy of the Herodotus Basin, respectively. These uncertainties are best evaluated through the adoption of a holistic appreciation for regional geological development and a robust model for the broad-scale structural organization. 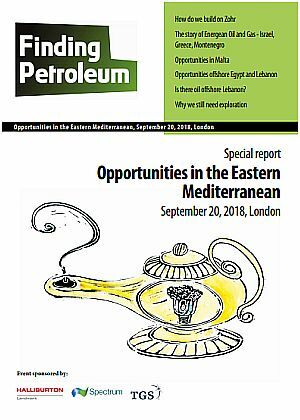 The future exploration potential of the Eastern Mediterranean is considered significant and insights into exploration are best identified using an integrated regional evaluation of its geology that is delivered by integrating sequence stratigraphic and geodynamic models. Exploration interests have increased significantly in the Eastern Mediterranean of late, mainly caused by the discovery of the giant gas field, Zohr in 2015. As a consequence, successful drilling of a new play concept was proven to work and this carbonate play has continued to be proven in subsequent wells targeting additional carbonate structures within close proximity to Zohr. This new play combined with the producing clastic plays across the Nile Delta and the discovered gas fields that extend into the Levantine Basin have reignited the industry interest in this region. With recent and upcoming licence rounds, new and ongoing seismic acquisition with planned exploration wells targeting frontier basins and a significant long term export market the area continues to be a key area of interest for many operators looking to take an early advantage into these frontier basins. This presentation aims to highlight the general prospectivity and exploration opportunities within the Eastern Mediterranean using seismic examples with a key focus on two frontier basins from the region, thereby highlighting the potential both offshore Western Egypt and Offshore Lebanon.